Garage Door Repair Hialeah is a certified garage door opener specialist and we combine that down home business approach with highly tuned professional skills that make our licensed, bonded and insured garage door company stand out from the crowd. One of the things that really give our garage door service a boost is our same day service initiative. Our team prides itself on responding to provide service the same day you call. At Hialeah Garage Door Repair we truly are the garage door opener specialists, but we don’t stop there. 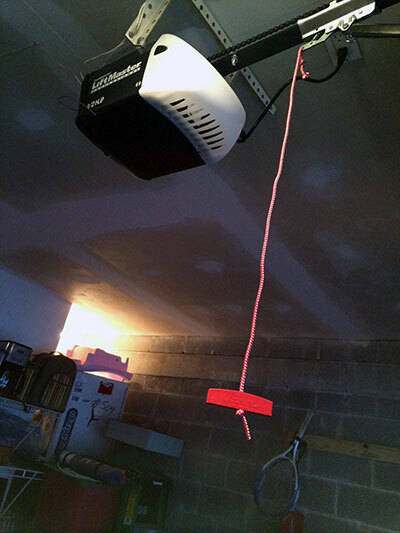 We also provide emergency garage door opener service. When you have a problem we want to be there to provide the assistance you need to get that garage door opener working again. We promise to utilize all of our excellent garage door opener experience and durable opener brands and parts to ensure you have a very dependable opener in your garage. What is so special about our company is the swift ability to offer fast garage door repairs and still be efficient. We are surely faster when there are emergency issues and assure clients that thanks to our meticulous inspections all problems are isolated and solved at once. A skilled crew works with great tools and retains the knowledge to service garage doors with unmatched proficiency. Problems are narrowed down due to our great maintenance service and all clients can depend on us when in need of spring replacement, opener service or cable repair. Acclaimed technicians repair, install, maintain, and replace garage doors and their related parts and possess the extensive training to do their job right. Being fast wouldn't be enough if it wasn't for our knowledge, expertise and thoroughness. If you combine all these assets together, easily come to the conclusion that help with all your needs will be efficiently resolved. Garage door opener brands just don’t get any better than those mentioned above. We offer the best products, repaired and installed by the best technicians, and at a price our customers love. When you purchase a garage door opener you must decide what type you desire in your garage. The Chain Drive is the cheapest version, but it is also the loudest. Chain drives hold up well traditionally if you can put up with the noise. The Screw Drive is a little more expensive, but still makes quite a bit of noise. The Belt Drive is the best way to go; although it is the most expensive. The belt operation is much more smooth and quiet and many customers appreciate that luxury.